With the construction finally complete, Urban Forest Nursery, Inc. hosted an Open House party earlier this month. Along with fantastic food and drinks, the party really kicked up with the music of the Black & Blues, a local blues/rock band. During the ceremony, owner Jim Barborinas, presented his wife, Ann, with a plaque to dedicate the building in her family’s honor. Ann grew up in Illinois, and raised cattle at her family’s farm, named Glenwood Farm. 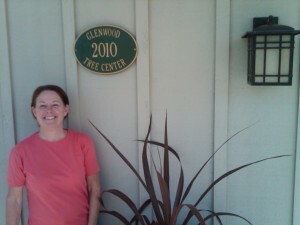 In dedication to her farming heritage and her family, our new building will be called the Glenwood Tree Center.